Eye On Tampa Bay: Rays deal done – now what? January 3, 2016 I posted It is time to get the Rays deal done. 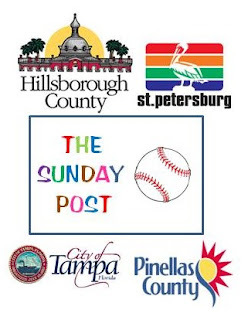 Thursday January 14, 2016 the St. Petersburg City Council voted to let the Rays look for a new stadium site in Pinellas and Hillsborough County. The memorandum of understanding is filled with caveats, and nuances so here are a few articles and Posts that may help you sort through it all. Getting this part of the Rays saga behind us is good for everyone. Now maybe the Kriseman administration can focus on some of the more pressing issues in St. Pete. The Rays deal did come with a bit of a cost as an "arranged" positive vote was virtually assured by Kriseman's support of Lisa Wheeler Brown's election along with a great deal of help from the Tampa Bay Times. The spotlight now moves to the Rays as they begin to prepare a site selection process and look forward to navigating the Hillsborough County and Tampa political waters. It will become clear as time goes forward a move to Tampa/Hillsborough County is going to be costly. Stadium costs are one factor but infrastructure costs, roads, interstate access ramps, water, sewer and electricity will represent a huge cost. Some think those costs could almost equal the cost of the stadium in some proposed Hillsborough County locations. Those facts are what led Mayor Rick Kriseman to the conclusion that The Trop site will end up being the best deal. 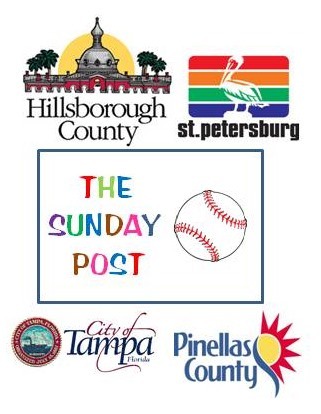 During all of these discussions, do not overlook the fact that no matter what they say publicly MLB does not like St. Petersburg. They never have and probably never will. A lot of it has to do with the market and attendance, but the deal that was just modified by City Council has stuck in the MLB craw since it was signed. The City has now put a number on the Rays leaving, $24 million, and if the franchise is really worth $600 million, Sternberg could likely put the team up for $624 million and get a deal. MLB would not be unhappy to see that happen. For now, the Rays get to move from one cranky set of politicians to another as they poke around in Tampa and Hillsborough County. Bob Buckhorn has been a bit less baseball excited than he once was since Jeff Vinik decided he was not particularly interested in baseball. Mayor Buckhorn would probably like to avoid a stadium referendum if he is really going to pursue the Governor's office. With all the trafficking in sports franchises who knows what might come up. Kriseman's procured vote to get this deal moving just may come back and bite him. $24 million will hardly get you a good outfielder these days, and the development rights while enticing is long-range money in the wind. Hang on this could be a wild ride.